Support the work of skilled local staff and gain work experience in the field of Speech Therapy, helping children and adults overcome communication impairments. Learn new skills, discover more about therapy techniques in a developing country and work to improve patients’ quality of life. As a Speech Therapy intern, you may find yourself working in schools, both mainstream and special needs, as well as day cares and rehabilitation centres. In some destinations, you may also assist a local NGO. Limited support for children with speech and language difficulties in some of the places where we work, combined with the stigma associated with disabilities, means that many of these patients do not receive treatment that would help them overcome their struggles. What will I do on a Speech Therapy internship? Your role will differ according to the specific placement and destination that you choose. Those with additional experience or training will take on more responsibilities. 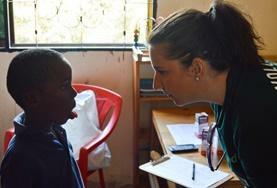 Each placement is tailored, where possible, to both a volunteer’s level of experience and their interests. As an intern, you will support local speech therapists and educational staff, working to improve and develop the speech abilities of children and young adults. Activities you may assist with include needs assessment of individuals, helping with individual and group therapy sessions, and monitoring progress. Please bear in mind that any opportunity to gain experience in practical, hands-on work will always be at the discretion of local practitioners. Initially, your role will be mainly observational. However, as you develop a working relationship with the local healthcare staff, you may find yourself taking on more duties. "Much of my work began with observation, and I quickly learnt that I needed to build relationships with the local staff before I could get more involved and make a real impact. Towards the end of the placement I did some work in educating the local therapists about various therapy techniques, theories, and ways of understanding disability and speech therapy. It was good to be able to exchange knowledge and experiences." 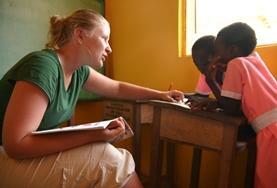 Ghana As an intern on this project you will work with children with special needs. You will be involved in helping the children improve and develop their speech and language ability. Morocco This project will provide you with rewarding work experience in this field. All volunteers work in schools or day care centres where material resources are sometimes lacking. 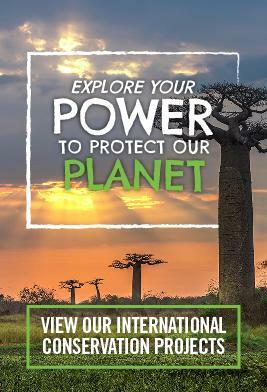 Togo If you are looking for a volunteer experience where you really make a difference to the lives of disadvantaged people then this project is ideal. You will either be based in an NGO or a school. Tanzania Help treat children with speech and language difficulties at a rehabilitation centre in Moshi. 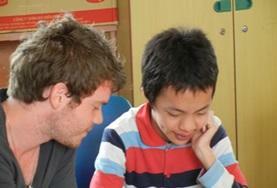 Gain work experience while helping children to overcome communication impairments. Vietnam Volunteers who join this project will be based in an institution where their existing knowledge and skills will be best put to use. You will work in a rehabilitation centre for disabled children.